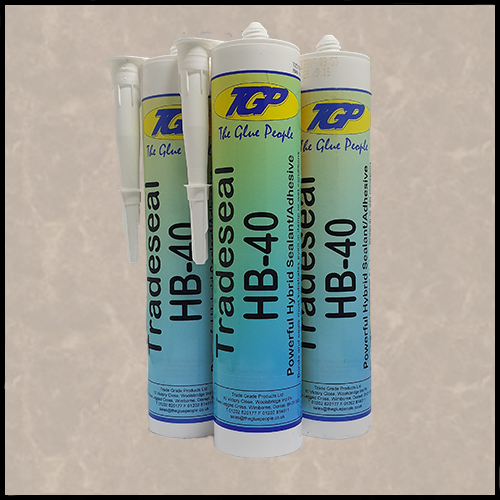 Tradeseal HB40 is a one part, solvent free hybrid sealant and adhesive. It has been designed for bonding and sealing most common substrates. Tradeseal HB40 finds many uses in the building industry, vehicle building and repair, marine, caravan and motor home building and repair, etc.